The time to be in front, every athlete knows, is at the end. 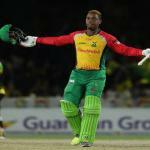 And if, come Sunday evening, Trinbago Knight Riders are not at the front of the race for the 2018 CPL title, their fans will probably feel justified in pointing fingers at their skipper, Dwayne Bravo. Photo: Hands akimbo, a pensive TKR captain Dwayne Bravo surveys the scene during 2017 CPL action against the St Kitts and Nevis Patriots at the Brian Lara Stadium in Tarouba on 5 September 2017. This column has been at pains to point out that every cricket match is played in the captains’ heads. So let us be very clear: the villain was the bowler, not the captain. Bravo’s failure was a failure of leadership but not in the sense that there had been major strategic or tactical errors. To give the home team a mere 123 to chase and then in those conditions take the game right up to the penultimate ball is quite an achievement. 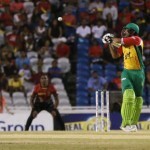 But had Bravo’s performance as bowler been better, TKR might well now be sitting pretty, awaiting Sunday’s final. 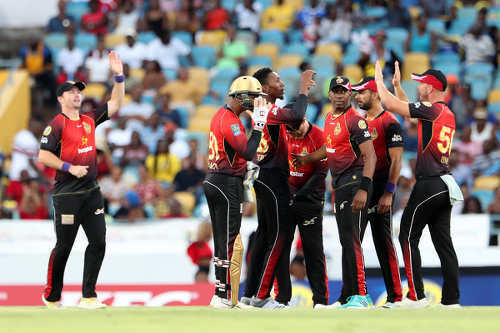 Instead, the Knight Riders will face St Kitts and Nevis Patriots in a do-or-die eliminator at the Brian Lara Cricket Academy in Tarouba on Friday—after the Patriots’ thrilling two wicket win over the Jamaica Tallawahs, which was again achieved with just one ball to spare. 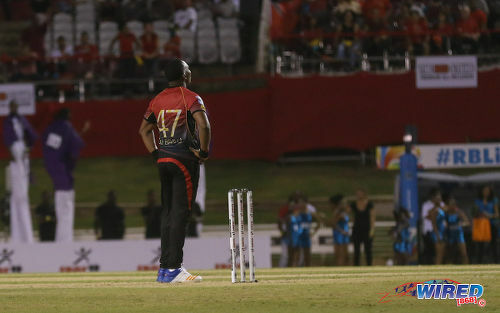 For all the current criticism of Bravo’s strategy in the CPL semifinal, it is worth noting that I heard no complaints when the score was 55 for 5 at the end of the 13th over. Over to you, medium pacers. 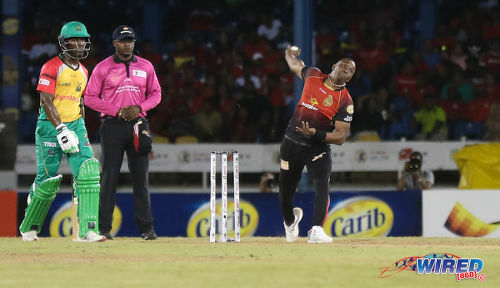 Photo: TKR captain Dwayne Bravo (right) bowls during CPL action against the Guyana Amazon Warriors at the Queen’s Park Oval, POS on 5 September 2018. By at the end of the 16th, it was 88 without further loss. A friend called to announce that Bravo had given away the game; he should have saved, ran his complaint, a few overs from his frontline spinners for the death. I disagreed. Vehemently. And still do. 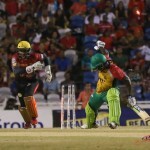 Player-of-the-Match Shimron Hetmyer revealed in his post-match comments that he had calculated that TKR would have to go to the quicker stuff once Sunil Narine, Fawad Ahmed and Khary Pierre were bowled out. And once that moment arrived, he and Sherfane Rutherford, the hero of the surprise win on Sunday evening, duly stepped on the accelerator. I heard no interviewer ask Bravo to explain—defend?—his tactics. But why did he not seek to slip in a few of the overs from the quicker bowlers while the spinners were still operating? To me, the answer is obvious. If the spinners did not get rid of Hetmyer, the undisputed danger man in the Amazon Warriors’ batting line-up, but contrived to keep the123-run target reasonably distant, DJB backed his quick bowlers—mainly himself—to get rid of Hetmyer. 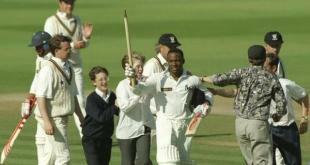 Or failing that, to keep him and his fellow batsmen from reaching their target. 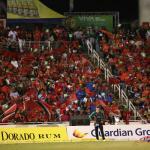 TKR had managed 62 runs off their last seven overs. Asked to defend 68 off their last seven, TKR fell just short. Had Bravo kept Tanvir and Shepherd to two or had his bowlers kept the last-over target in double figures, the eventual result could have been different. So there were errors of execution, not so much of strategy. For the record, where I part tactical company with DJ Bravo is in the use of Kevon Cooper (2-0-21-1) ahead of Ali Khan (2-0-18-0). True, Cooper did crack the door open for an eleventh-hour TKR win, seeing Hetmyer run out at the bowler’s end off his bowling and dismissing Rutherford next ball. But he conceded 14 runs. So once the critical breakthrough had been made in over #17, I certainly would have gone back to Khan for over #19. The American possesses a practised yorker, a weapon not to be sneezed at when either parsimony or penetration is what best suits your purposes. But it was Bravo who let the side down, failing to lead from the front. When, as captain, you decide to assume responsibility for bowling the death overs—a given with DJB despite his figures of 2.1-0-40-0 in the last game against GAW?—you have no choice but to execute. Particularly when yours is a very modest 122 total. Loose, inaccurate, indisciplined bowling is a luxury you simply cannot afford; with hands and face, Brendon McCullum repeatedly made the point for all who were watching to see. Even Tino Best seems to know, the way to exploit a pitch without pace is clearly not by serving up full sweetbread! Photo: St Kitts and Nevis Patriots batsman Carlos Brathwaite (left) prepares to attack a delivery by TKR captain Dwayne Bravo during CPL action at the Queen’s Park Oval on 11 August 2018. 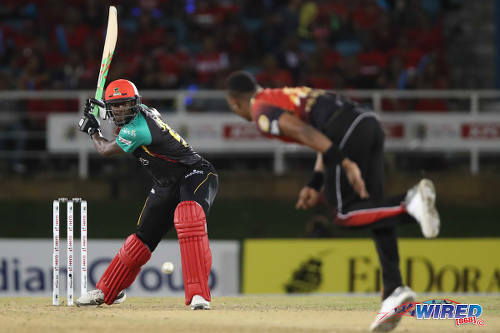 In their 20 overs, the TKR batsmen managed only two sixes; their bowlers conceded as many as six, half of them off Bravo, whose final figures read 3.5-0-39-1. Even allowing for the change in the nature of the pitch, such profligacy at that stage is simply inexcusable when you are the team leader. The first ball of Bravo’s second over was, the live commentary records, “an off-cutter outside off-stump that stays very low! Rutherford can’t make the contact he was looking for.” Next ball, “Bravo goes full and Rutherford thumps it straight over the bowler’s head” for six. “Bravo goes full,” they describe the last ball of over #18, “and (Romario) Shepherd went right over Bravo’s head and onto the long-on boundary. Raw power.” Another six. And of course there was the too full penultimate delivery that Tanvir smashed into the sightscreen! So Bravo now knows for sure that it’s not sweetbread but sponge cake that cobo cyar eat. And with the high-flying Warriors awaiting the victors in Friday’s second-chance qualifier, his TKR come back home to the Brian Lara Stadium. He knows too that as usual the bumper Tarouba crowd will be screaming their heads off for him and his men as they tackle Chris Gayle’s St Kitts and Nevis Patriots. But he should also be mindful that, with home advantage going for TKR this time, should they fail to deliver the goods yet again at this the business end of the season, forget cobo. Crapaud go smoke TKR pipe!